Unknown to many, Miami is much more than South Beach, Wet Willie’s and unrivaled ultra chic hotspots such as Liv Nightclub. With rich multicultural roots and history of African, Caribbean and Latino people, there are many opportunities to explore Miami off the traditional beaten path. Throughout the month of December, locals and tourists are encouraged to uncover hidden cultural gems found throughout the destination and learn about our many influences during Miami Heritage Month. 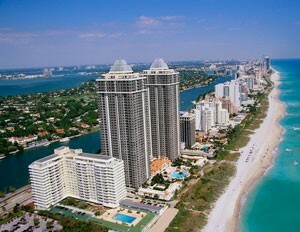 Thinking about a trip to Miami to escape the cold this winter? Whether for Heritage Month, vacation, or simply a weekend getaway, BlackEnterprise.com has outlined a few of the top African-African heritage attractions during your visit to the sunshine state. The Little Haiti Cultural Center (LHCC) provides a space that brings together people and ideas to promote, showcase and support Afro-Caribbean culture in South Florida. From concerts and plays to speaking engagements the Little Haiti Cultural Center offers a unique opportunity for residents and visitors to gain exposure to Afro-Caribbean culture, entertain and develop a new talent, and expand their knowledge of the arts. The Black Police Precinct and Courthouse Museum acquires, preserves, displays, and promotes collections of a historical nature have educational value to the preservation of African American history as it relates to the struggles and accomplishments of Black Police Officers in Overtown, as they served during the pre-Civil Rights era of the 1940’s, 50’s, and 60’s. The museum displays police memorabilia, artifacts, documents, video, and word-of-mouth stories by the men and women who worked there. It provides a community center for its citizens, a tutorial center, and learning center for children in the City of Miami’s most underprivileged neighborhoods. Hungry? Stop in for some southern soul food at Jackson’s. Now in its fourth incarnation, Jackson Soul Food has outlasted fads and foes to fill bellies in the Overtown community since the late 1940s. The restaurant has survived thanks in large part to its ability to make guests feel right at home. Friendly service, music, and cozy decor all play important roles in creating a jazzy and soulful vibe. At 5:30 a.m.every day, cooks fire up the stoves and begins dishing out boiled fish and grits, smoked sausage, and fried catfish. The plates continue streaming from the kitchen throughout the day, including during lunch. The Historic Overtown Folklife Village is located on Northwest 2nd and 3rd Avenues between 8th and 10th street. Designated by the State of Florida as the Overtown Main Street Community, the mission of the Folklife Village is to restore historic sites of significance in the Overtown community, creating a regional tourist attraction showcasing the legacies of Miami’s Overtown and the Harlem Renaissance,as well as the Black cultural heritage of South Florida, the Bahamas and the Caribbean. During prosperous years, the African-American community made progress in their involvement in government and politics. Black entertainers, such as Billie Holiday, Cab Calloway, Ella Fitzgerald, and Nat King Cole, stayed in Overtown and entertained there. For more information on Miami Heritage Month click here.